When you plan for setting up your business in the UAE, a closer look at the market will make you realize that you are not alone. There are similar companies who own and sell products just like you do. And here, your brand is your vital asset. The more different your brand from others in your industry, the more you make it easier to be protected. Brands can attract the people with positive feelings and built trust of the customer on your product or services. Protecting your brand is more important when there is more competition. 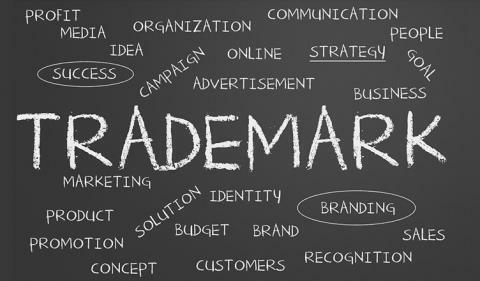 Trademark and brand registration in Dubai, UAE has been most sought-after in the recent times due to increase in the local competition. Not just in the UAE, be it any other part of the world, protecting one’s products against counterfeiting and fraudulent imports is a primary concern for any business. And that is where, the term, Intellectual Property plays an important role. What is an Intellectual Property in the UAE? Intellectual Property (IP) can be defined as the original and innovative product of human intelligence, creativity and/or mental labor that has some market value, and therefore warrants protection under the law. Intellectual Property in Dubai comprises of ideas, logos, literary works, inventions, names of services, products or companies, or processes related to computer, business or chemical, and much more. Any business that wishes to establish a national or international identity should take steps to protect the use of its IP. The significance of Intellectual Property rights cannot be ignored after it has become a globalization issue, and it has a profound effect in many quotidian fields like Health, Commerce, Labor, Environment and Culture, apart from investment & technological impacts. Hence availing intellectual property services in the UAE for your brand protection in recommended. A patent is granted to inventors for inventions. These can comprise anything from equipment, tools, processes, chemicals, technology, software, etc. Patent protection in the UAE is regulated under Federal Law No.17 of 2002, later amended by Federal Law No. 31 of 2006.It is granted for inventions that are novel, inventive and useful. Absolute worldwide novelty is required. The term of protection for patents is 20 years from the filing date. How to Register Patent in the UAE? There are essentially two routes for patent protection according to the UAE Intellectual Property Law– a national route and a regional route. The national route requires filing a national application at the UAE Patent Office. The regional route requires filing a GCC (Gulf Cooperation Council) patent application, which once granted, would in principle cover protection in the six GCC countries. Here are the further steps to protect your patent in the UAE. Patent applications in the UAE should be filed in both English and Arabic, accompanied by certain formality documents which include a power of attorney, an assignment (where the applicant is not the inventor) and a commercial license (where the applicant is a commercial entity). The formality documents should be legalized at the UAE embassy/ UAE patent office or consulate at the place of execution (if outside the UAE). Where the patent application claims priority over an earlier filed application under the Paris Convention, a copy of the priority application in both English and Arabic should also be filed. The formality documents can be filed within 90 days from the filling date of the patent application. The patent application is then put in line for substantive examination. As a result of the collaboration agreement between the UAE Patent Office and KIPO (Korean Intellectual Property Office), it is believed that the current backlog for the substantive examination of applications is between 1 to 2 years. The patent office will require the applicant to pay the examination fees once the application reaches its turn for examination. It is not possible to request the substantive examination prior to that date. The application is then examined in light of criteria including novelty, inventiveness and utility. The validity of the priority claim is also assessed during substantive examination. The applicant is generally granted 2 to 3 opportunities to respond to the examiner’s objections and amend the application to overcome these objections. Patent applications are prosecuted in both English and Arabic, and thus all amendments to the patent application during examination should be filed in both English and Arabic. Upon completion of the substantive examination, the UAE Patent Office will either accept or reject the application. Rejected applications can be appealed in front of the competent committee at the Ministry of Economy within a 60-day period. If the UAE Patent Office agrees to grant a patent, the applicant is directed to prepare the publication material and pay the publication fees, after which a decision to grant a patent is published in the UAE Official Gazette. The publication of the decision to grant starts a 60-day opposition period within which third parties have the opportunity to oppose the decision to grant a patent. If no oppositions are filed by the end of the 60 days’ period, a patent is granted and the UAE Patent Office issues a registration certificate evidencing the grant of the patent. Once a patent is granted, it is valid and enforceable for a period of 20 years from the filing date and gives the patentee the right to exclude others from exploiting the invention without authorization within the UAE territory. In order to keep the patent application or patent valid, annuity fees should be paid annually in the UAE from the first anniversary until the 20th anniversary of the application or patent, taken from the filing date. The invention is subject to compulsory licensing in favor of third parties if the invention is not used by the applicant (or an authorized licensee or assignee) within a 3-year period from the date of grant inside the UAE. Copyright protects authors of intellectual property such as books, paintings, photographs, radio/television programmes and software. (2) Expressed in any objective form. How to Register for a Copyright in the UAE? Registered copyright object is protected in UAE through lifetime of author and fifty years beginning from the first day of the calendar year following his/her death. The economic rights of the authors of collective works, except the authors of applied arts, shall be protected for a period of fifty years beginning from the first day of the next calendar year of the first publication in case that the author is a legal person; but if the author is a natural person, the period will be calculated according to the rule stipulated in UAE Copyright Law. Trademarks are used to signify phrases, symbols, logos, slogans, etc., that are related to a business and product. The Ministry of Economy is responsible for trademark registration in Dubai. Anyone willing to use a trademark to distinguish one’s goods, products or services may apply to register them in accordance with the provision of this law. The trademark registration is valid for all the seven emirates. How to Register a Trademark in the UAE? The application for trademark registration should be submitted to the Ministry or the UAE trademark office in line with the terms and conditions and executive regulations. Along with it the documents for trademark registration must be submitted as well. The Ministry shall give its decision on the application within 30 days from the date of submission provided that the terms and conditions of the UAE trademark law and its executive regulations are met with. If the ministry approves a trademark, this shall be announced it in its bulletin and two Arabic newspapers before the registration at the expense of the applicant. Any interested person can file an objection to the registration of the trademark by submitting a written objection to the ministry or sending a registered mail or e-mail within 30 days from the date of the last announcement, and the ministry shall notify the registration applicant with a copy of objection to his application within 15 days from the receipt of such an objection. Once the trademark is registered, the trademark owner will be granted a certificate containing the registration number of the trademark, the date of application and registration, the trade name or the owner’s name, nationality and place of residence, copy of the trademark, description of the products, goods or services that come under the trademark and number and date of the international priority right. This is the final step in trademark registration requirements. A registered trademark will be under legal protection in the UAE for 10 years since the date of official TM registration. To keep a trademark in force after 10 years, the owner should pay additional official fee to the UAE Ministry of Economy for further extension. The quantity of extensions for trademark certificates is not limited. The following documents must be submitted. The trademark registration fees in Dubai, UAE for one class includes the following. In the light of the attempts at infringing intellectual property, often amounting to counterfeiting and fraud, it behooves one to go for IP protection. Based on whether your innovation is an invention, a work of art or a symbolic representation of your business, you should opt for a patent, a copyright or a trademark, respectively. In today’s day and age, not just the inception and concretization, but also the protection of one’s intellectual property assumes utmost importance. Business Setup Worldwide is a business consultant organization having skilled consultants with more than a decade worth of experience in setting up businesses in Dubai and the UAE. At Business Setup Worldwide we provide intellectual property services & trademark registration services in the UAE. To get more information on intellectual property services, contact us today.